The construction of new, large-scale residential estates has boomed across Australia over the last decade with the latest development proposal to take place at a former industrial site in bayside suburb of Cheltenham, Victoria. Mirvac is set to launch a new master-planned community in 2017 with 184 homes centered around a parkland area on the 4.2-hectare site, as reported by GlobalPropertyWire. The development will be named Jack Road, after the road it is situated on, and will comprise of an eclectic mix of small apartments, townhouses and contemporary houses. To appeal to a wide range of buyers and with the aim of developing a strong community feel, the estate is being constructed around a large park. 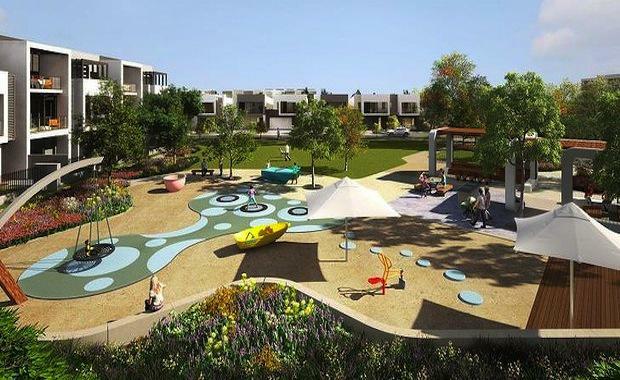 GlobalPropertyWire reveals that the 1800-square-metre park will feature decorative sculptures, picnic areas, three trampolines and a playground, with various trees comprising the landscape. Mirvac’s aim is to attract a mixed community with retirees, young families and professionals, as they have done previously with communities in Beacon Cove and Yarra’s Edge in Melbourne. At a recent Australian conference, master-planned estates were hailed as ‘the key to handling rapidly growing population pressure in outer suburban areas’. This comes as Gold Coast-based Sanctuary Cove community won world’s best master-planned community at the 2014 Global Awards in London. Australian research shows that master-planned estates are generally located on the ‘growth frontier’ of the city’s fringe, though they are more frequently being built on industrial or urban renewal sites. Australians can expect these communities to increase in volume and popularity as they develop as an increasingly convenient and social way to live.